The founder of Huawei Technologies Co denied all spying allegations in a rare media interview, as the Chinese tech company looks to combat overseas challenges to enable it to grow its revenue to $125 billion in 2019. Ren Zhengfei, the reclusive head of Huawei, said the company has never spied for the Chinese government and never will. The comments came as the world’s largest telecom gear maker and No 2 smartphone vendor is facing cybersecurity allegations in several developed markets. A back door is a way to access a system that bypasses security mechanisms. 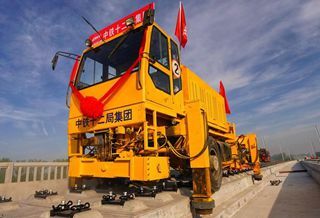 Ren said the temporary overseas difficulties may slow the company’s sales growth rate to less than 20 percent, down from around 21 percent in 2018. Huawei has set a target of $125 billion in revenue this year. The business of Huawei, which was founded in 1987, has gradually expanded to cover telecommunications equipment, semiconductors, smartphones and big data solutions. It now has about 180,000 employees around the world. Wang Yanhui, secretary-general of the Mobile China Alliance, an industry association, said Ren’s rare media briefing shows that Huawei is embracing an increasingly open approach to counter allegations through taking the initiative by responding to concerns. Ren, also the father of Huawei finance chief Meng Wanzhou, said he misses his daughter and believes that justice will prevail. Canada arrested Meng at the request of the United States on Dec 1 on charges related to violating sanctions against Iran. Meng was released after posting bail and has been permitted to stay at her Vancouver home. Ren also said at the briefing that Huawei has secured 30 commercial contracts for providing 5G technology, up from 26, the number it disclosed in late December. “The company is steadily gaining clients even as its brand was hurt by allegations. This shows that trust exists between Huawei and some telecom carriers, and underlines its technological prowess,” Wang added. Huawei said earlier that more than 211 of the top 500 global companies have chosen to use its products and services to accelerate digitalization. Last month, the Indian government also allowed it to take part in a local 5G trial. Jia Mo, a research analyst with technology consultancy Canalys, said Ren aims to clarify rumors and clear obstacles to its businesses in foreign countries. “It is critical for Huawei’s long-term development, especially when global 5G development is stepping onto a key stage,” said Jia, adding that countries around the world are expected to deploy large-scale 5G networks in a year or two.